NOTICE OF PRIVACY PRACTICES THIS NOTICE DESCRIBES HOW MEDICAL INFORMATION ABOUT YOU, MAY BE USED AND DISCLOSED AND HOW YOU CAN GET ACCESS TO THAT INFORMATION . This Practice is committed to maintaining the privacy of your protected health information (“PHI”), which includes information about your health condition and the care and treatment you receive from the Practice. The creation of a record detailing the care and services you receive helps this office to provide you with quality health care. This Notice details how your PHI may be used and disclosed to third parties. This Notice also details your rights regarding your PHI. The privacy of PHI in patient files will be protected when the files are taken to and from the Practice by placing the files in a box or brief case and kept within the custody of a doctor or employee of the Practice authorized to remove the files from the Practice’s office. 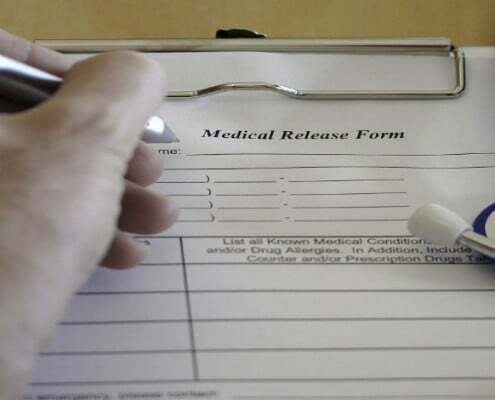 It may be necessary to take patient files to a facility where a patient is confined or to a patient’s home where the patient is to be examined or treated. (a) Treatment – In order to provide you with the health care you require, the Practice will provide your PHI to those health care professionals, whether on the Practice’s staff or not, directly involved in your care so that they may understand your health condition and needs. 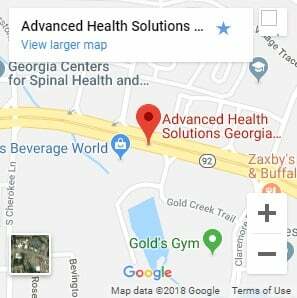 For example, a physician treating you for a condition or disease may need to know the results of your latest physician examination by this office. (b) Payment – In order to get paid for services provided to you, the Practice will provide your PHI, directly or through a billing service, to appropriate third party payors, pursuant to their billing and payment requirements. For example, the Practice may need to provide the Medicare program with information about health care services that you received from the Practice so that the Practice can be properly reimbursed. The Practice may also need to tell your insurance plan about treatment you are going to receive so that it can determine whether or not it will cover the treatment expense. (c) Health Care Operations – In order for the Practice to operate in accordance with applicable law and insurance requirements and in order for the Practice to continue to provide quality and efficient care, it may be necessary for the Practice to compile, use and/or disclose your PHI. For example, the Practice may use your PHI in order to evaluate the performance of the Practice’s personnel in providing care to you. (a) De-identified Information – Information that does not identify you and, even without your name, cannot be used to identify you. (b) Business Associate – To a business associate if the Practice obtains satisfactory written assurance, in accordance with applicable law, that the business associate will appropriately safeguard your PHI. A business associate is an entity that assists the Practice in undertaking some essential function, such as a billing company that assists the office in submitting claims for payment to insurance companies or other payers. (ii) to a public or private entity authorized by law or by its charter to assist in disaster relief efforts, for the purpose of coordinating your care with such entities in an emergency situation. (e) Communication Barriers – If, due to substantial communication barriers or inability to communicate, the Practice has been unable to obtain your Consent and the Practice determines, in the exercise of its professional judgment, that your Consent to receive treatment is clearly inferred from the circumstances. (f) Public Health Activities – Such activities include, for example, information collected by a public health authority, as authorized by law, to prevent or control disease and that does not identify you and, even without your name, cannot be used to identify you. (h) Health Oversight Activities – Such activities, which must be required by law, involve government agencies and may include, for example, criminal investigations, disciplinary actions, or general oversight activities relating to the community’s health care system. (i) Judicial and Administrative Proceeding – For example, the Practice may be required to disclose your PHI in response to a court order or a lawfully issued subpoena. (j) Law Enforcement Purposes – In certain instances, your PHI may have to be disclosed to a law enforcement official. For example, your PHI may be the subject of a grand jury subpoena. Or, the Practice may disclose your PHI if the Practice believes that your death was the result of criminal conduct. (k) Coroner or Medical Examiner – The Practice may disclose your PHI to a coroner or medical examiner for the purpose of identifying you or determining your cause of death. (l) Organ, Eye or Tissue Donation – If you are an organ donor, the Practice may disclose your PHI to the entity to whom you have agreed to donate your organs. (m) Research – If the Practice is involved in research activities, your PHI may be used, but such use is subject to numerous governmental requirements intended to protect the privacy of your PHI and that does not identify you and, even without your name, cannot be used to identify you. (n) Avert a Threat to Health or Safety – The Practice may disclose your PHI if it believes that such disclosure is necessary to prevent or lessen a serious and imminent threat to the health or safety of a person or the public and the disclosure is to an individual who is reasonably able to prevent or lessen the threat. (o) Workers’ Compensation – If you are involved in a Workers’ Compensation claim, the Practice may be required to disclose your PHI to an individual or entity that is part of the Workers’ Compensation system. Reduce your time in the waiting room by completing the online forms and bring them with you. Or fax them. Get forms..